Home / News / Politics / Wet Ballots? An impossible and lame excuse for cheating. Wet Ballots? An impossible and lame excuse for cheating. The PCOS machine that the Filipinos use in the 2016 elections was an advent of ingenuity. It had a number of features that made cheating almost impossible. 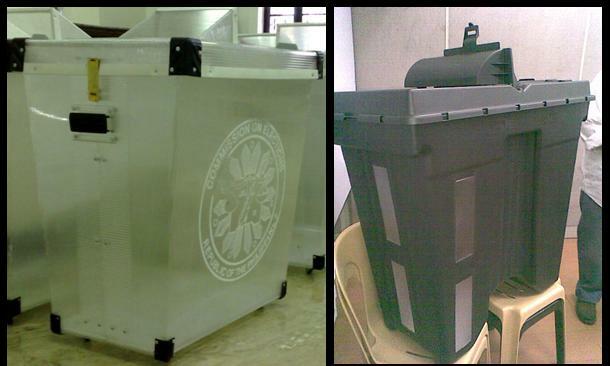 The ballot boxes were light and water proof and was designed for maximum security. So the probability of one ballot box containing damaged contents was quite impossible. And impossible it should be! Former Senator Bongbong Marcos discovered wet ballots from the four clustered precints in Bato, Camarines Sur. A clear sign of cheating that the Attorney of Vice President Leni Robredo stated as a common coincidence. Robredo’s Lawyer, Atty. Romeo Macalintal may be right if the elections happened manually. The olden ballot boxes of that the time were automation was but a thing of a future were incredibly susceptible to water and more importantly cheating. But with the automation of the elections came security measures to prevent these from ever happening. Cheap tricks like damaging ballots cannot occur anymore and which moreover makes Macalintal’s reasoning be meritless. At the moment, Macintal s trying to reason out everything that he could to prove that there was no cheating in the 2016 elections. But he is slowly losing credibility for the proof that Data Manipulation was present during the transmission of results were evident. Robredo was actually losing until after the morning of May 10, 2016. Marcos led the electoral position as Vice President by 900,000 votes that morning but in less than 24 hours, Robredo took over with more 263,473 vote lead? How is it possible for a candidate to acquire a lead of more than 1,263,473 votes within less than a day? Now this is why Marcos is fighting for a recount, fighting for the fairness of the elections and the dignity of the Filipino people and of himself alike. Atty. Macalintal is not telling the truth and he knows this, he cannot use lame excuses to divert people’s attention from the truth.